If you are looking for a safe, professional and affordable Portland limousine or Portland party bus service, look no further than JMI Limousine. We proudly offer first-rate limousine service to our customers living all over the Portland metro area, including Lake Oswego. We have been in business since 1994, so when you ride with us you know that we will get you where you need to go in comfort, luxury and style. Finding a dependable and affordable Lake Oswego limo service can be a challenging and stressful experience. Luckily for you, we at JMI Limousine are more than happy to provide people living in Lake Oswego with stellar limo service at a reasonable price. 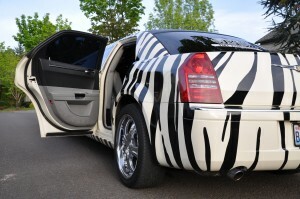 We own and operate a huge fleet of limousines, party buses and town cars. With our well-maintained fleet of luxury vehicles, we are able to offer a wide variety of thrilling and enjoyable experiences. We offer a Portland fly & dine service, which includes a private ride in a helicopter overlooking Portland. We also offer a Lake Oswego funeral limo service, wedding and prom transportation, and an Oregon wine tour limo service. Whatever the occasion, you can count on JMI Limousine to get you there on time. No other Portland limo service can offer such a wide range of services with such affordable rates. When you book with us, you can rest assured that you are getting the best deal in town. The safety of our customers is always one of our top priorities. In 19 years of operating, we have not had a single accident with one of our limousines or party buses. We have achieved this outstanding safety record by dedicating ourselves to hiring dependable, skilled chauffeurs and by ensuring that all of our vehicles are in tip-top condition. Our drivers must pass rigorous driving tests and background checks, and our vehicles are regularly inspected and maintained by certified mechanics. We are also insured with general liability and auto liability insurance that meets state requirements. We are happy to provide our customers in Lake Oswego with exceptional limousine service. We offer the best service at the most affordable rates in the Portland metro area. Our headquarters is located in Beaverton right off of highway 217. It is just a 20 minute drive from central Lake Oswego, so feel free to visit our facility any time to personally inspect our limo fleet. 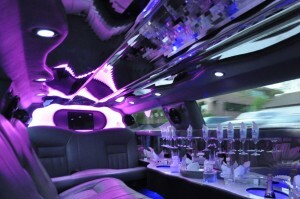 Contact us to get a free rate quote for our limo or party bus service.